According to military experts, the Tu-160M2 will be used not only as a deterrent weapon but also for meeting the current challenges of the Defense Ministry. The renewed Tu-160M2 will be able to fly at an altitude level of 60,000 feet, where no existing anti-aircraft or missile defense system can reach it. At the end of 2016 the Russian Defense Ministry will receive the first delivery of the renewed NK-32 engines for the Tu-160M2 strategic missile-carrying bombers. According to the developers, the new engine will help the plane fly up to the stratosphere at an altitude of 60,000 feet. "The new NK-32 version can work not only as a reactive plane engine but also as a rocket engine. Thanks to this the Tu-160M2 will be able to cruise at a height where no enemy anti-aircraft system can strike it," said a source at the Russian defense industry. The modernized plane's first flight will take place in 2018. 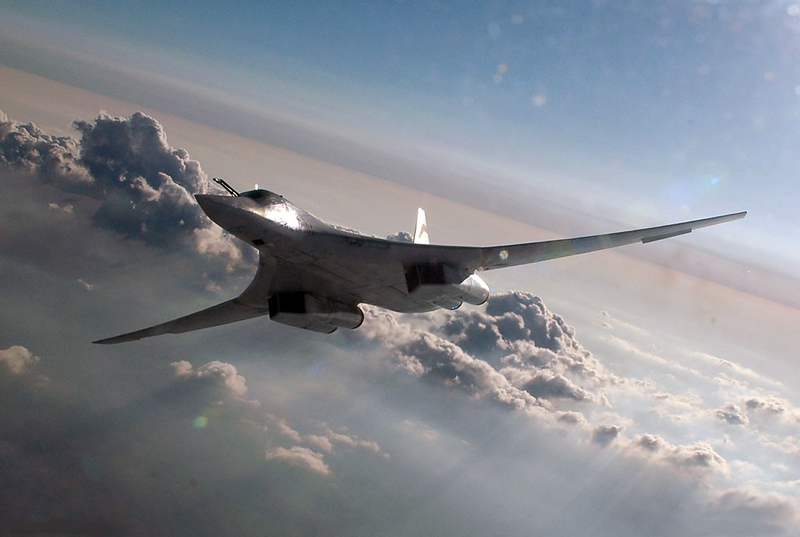 According to Russian air force chief Viktor Bondarev, the Defense Ministry plans to buy about 50 Tu-160M2 planes. Serial construction of the aircraft will begin in 2021. Why is Russia recreating the Tu-160? Currently Russia is working on the construction of new-generation strategic bombers, the PAK DA (an acronym for “prospective aviation complex for long-range aviation”). However, the development of the new aircraft is being delayed: The first unit will appear only some time between 2020 and 2025. "The Russian Aerospace Forces Command is now creating a "medium-term" substitution for the PAK DA. A series of long-range aviation planes will soon finish their alert missions and it will be necessary to conduct a planned substitution of the technology with new armed planes," explained Dmitry Litovkin, military observer at the daily newspaper Izvestiya. The source in the defense industry told RBTH that the project could become the most expensive program in the Defense Ministry in the 2020s. Its cost is comparable to the construction of new nuclear submarines from the Borei series, which carry the Bulava missiles – $5-7 billion. "The word 'missile-carrier' emphasizes the bomber's capability to use both nuclear and non-nuclear winged missiles. Among them are the H-101 and H-555 new-generation long-range winged missiles," said Pyotr Dainekin, former commander of the Russian air force and Hero of Russia. He added that the plane would also be capable of carrying the H-55SM winged missile with programmed coordinates for striking targets on the ground. "The Tu-160 can be equipped with any type of nuclear and ordinary bombs: armor-piercing, concrete-piercing, cluster, naval mines, etc. The total weight of the warheads can reach 40 tons," said Dainekin. He added that the new plane would be able to hit potential targets while outside the area that existing anti-aircraft or missile defense systems are capable of striking.